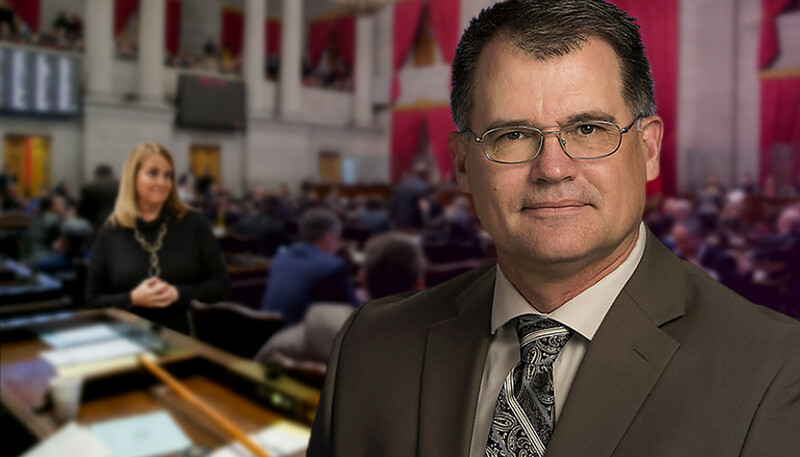 Fifty-eight Tennessee House Republicans are named co-sponsors on the anti-sanctuary city bill HB2315. Tennessee’s anti-sanctuary city law passed in 2009, only addresses written policies that prohibit local governments, officials and employees from cooperating with federal immigration authorities. This narrower definition of “sanctuary city” would likely not have applied to at least one of the sanctuary city ordinances proposed by the Metro Nashville Council last June. The two ordinances proposed by the Metro Nashville Council would have made Nashville the most liberal sanctuary city in the country. One of the bills included a “don’t ask so you don’t have to know or tell” practice prohibiting Davidson County and Nashville employees, including law enforcement, from providing pertinent information to ICE regarding criminal aliens. Reedy’s bill expands the definition of sanctuary city to include practices that obstruct cooperation with federal immigration authorities and help shield illegal aliens who have also committed crimes. North Carolina and Georgia have included the expanded definition in their anti-sanctuary city laws. State Sen. Mark Green’s (R-Clarksville) Senate companion bill, HB2332, passed the Senate State and Local Government Committee last week on a 7 – 1 vote and is ready to be scheduled for a Senate floor vote. Reedy’s bill is scheduled to be heard in the House State Government Subcommittee on Wednesday. With 59 House members already co-sponsoring the bill, if it makes it to the House floor, it already has enough votes to pass. In a February ad released by a PAC called Tennesseans for Good State Government, GOP gubernatorial candidate Speaker Beth Harwell takes credit for “outlaw[ing] sanctuary cities,” most likely a reference to the narrow 2009 law which the Metro Nashville Council’s ordinances would have bypassed and which Rep. Reedy’s bill will fix. Harwell is not yet listed as a co-sponsor of Reedy’s bill. FACT CHECK: Did Cambridge Analytica ‘Hack’ Facebook? Who are the Republicans who are against it? Where does Beth stsnd? How close are we REALLY tto becoming a sanctuary city? That MUST be the next headline…followed immediately by names and phone numbers of both Republican and Democrats who want Nashville to be a sanctuary city. Well, that’s an easy one. Where is mandatory E-Verify on all employers? I want the list of those that oppose it! Perhaps the 15 Republican reps who voted against this bill should seriously think about relocating to California. They certainly aren’t marching in step with their party’s platform or their fellow reps or the majority of their constituents. So who do they owe their allegiance to? My first guess is they’re bowing to the power of the almighty dollar. But I’m just guessing. They haven’t had opportunity to vote. The 59 is just the list of co-sponsors. If 59 Republicans are against “santuary cities”, what are the other 15 “Republicans” for? How can ANY Republican support allowing enclaves of illegal activity to exist? We see what happens when laws aren’t enforced, “blue” cities are formed. Illegal immigration is a “gateway drug”, that turns into escalating numbers of violent crime! I don’t see Speaker Harwell on the list, and she wants to be Governor! Really? Representatives Susan Lynn, Mark White, Tim Wirgau, David Alexander, and the others of the infamous 15, ALL NEED TO BE VOTED OUT! Tennesseans owe a HUGE debt of Gratitude to these Leaders for working to close the loophole and end the Sanctuary Cities Issue! HUGE thank you to Representative Jay Reedy, Representative Judd Matheny, & Senator Mark Green for standing strong on this matter! I 100% Support and Stand with them!